With the South American “Pink Tide” receding, Yankees are trying to reassert the Monroe Doctrine which entitles Yankees to control the Western Hemisphere. 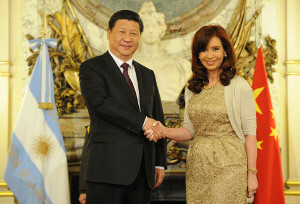 However, there is a big obstacle in the way: China has a long-term binding agreement with Argentina that cannot easily be undone. This article is about the relationship between the two countries.